Apply to Several Internships. 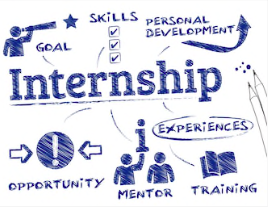 Internships are competitive, that’s why it is important to apply to several companies in the application process. Also, ask yourself what kind of company you want to work for in the future. Non-profit or for-profit? A large company or a small company? I worked for a larger company and I realized that I liked working for a smaller sized business because you are given a wider range of responsibilities. You may not be sure what kind of business you want to work with but working with several companies over the course of your college career can help to mold your preferences. Be mindful of your choices. Also, be prepared for rejection. Chances are you will still get an internship in at least one place you apply, even if it is not your first choice. Have a Good Attitude. When you start your internship, be mindful of your attitude in the workplace. Even if you are having a bad day, come into work motivated and ready to take on challenges. Your boss will also take note if you are stubborn, short or unmotivated. It is important to have the balance of professionalism, as well as being kind to your boss and coworkers. Be Flexible. Suddenly your boss asks you to make a brochure using Adobe Suite and you panic! Wait but you’ve never used InDesign? Breathe. It’s okay to be a bit overwhelmed at first when you start. Asking for help isn’t a sign of weakness, it means you are committed and care about the quality of your work. If you have a good boss, they will walk with you when you need help. Also, don’t be afraid to try new things! When I worked at a hospital, their graphic design team needed help and asked me to pitch in. Although it was completely new at the time, I got to learn under a talented team and discovered my love for graphic design. Now, I can easily create functional brochures and graphics. Prospective employers are looking for a versatile skill set and people will pick up on how you handle these challenges. Learning how to use the Adobe Suite, business software and analytics will set you apart and make you valuable in the future. Build Connections. Even if you have different career plans that don’t pertain to the business where you intern, build connections when you are still a student. Chances are, employees have connections in the community that can be used to your advantage. Non-profit work can be largely community-based. Learn as much about your company as you can and maintain positive relations with your co-workers. It will do you well to maintain these connections and stay in touch with the contacts you build. Go the Extra Mile. So your boss lets you attend a meeting that is outside your working hours. Well, maybe you don’t have to go. But you should! Sure, most internships can be as much as 15 hours of your time a week but take advantage of those opportunities. Your boss wants you to have the best experience possible and is trying to provide that for you. You may even gain insight about your company or field that you didn’t know before. To sum everything up, be grateful for every internship you have. Not everyone has the chance to go to college and be given the opportunity to work in a public relations role. Internships can often turn to jobs so be sure to keep your mind open and professional with all internships. 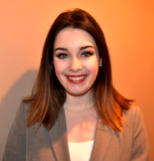 Allison Taylor is a junior journalism and mass communication major with a concentration in public relations and a marketing minor student at Samford University. She was a member of Samford PRSSA Chapter 2017-2018. She interned in marketing at Huntsville Hospital Healthcare Systems, and currently works as a Communications Assistant Intern at REV Birmingham.